The chapter entitled ‘Sleep, Dreams and Soul-Travel: Athanasius within the Tradition’ considers the views of the Alexandrian theologian against the complex backdrop of fourth-century spiritual literature. Athanasius never wrote treatises on sleep and dreaming, nor did he elaborate one on divine knowledge, but his theological and pastoral commitments imposed frequent stops in those areas. His approach to sleep and dreaming was complex: neutral, positive, and negative. Naturally assessed, both sleep and dreaming were either neutral or positive occurrences. One could not be held personally responsible for the uncontrollable, namely, for what happened during sleep both inside one’s mind and around the person. Overall, getting nocturnal rest was important physiologically as well as ascetically. In a typical manner, Athanasius adopted a rigid stance against ascetic performers who, mindlessly, practiced sleep deprivation to the detriment of their noetic mindfulness and spiritual acuity. Also typically, he complained about the times when worry did not allow him to get some much-needed rest. Spiritually assessed, these nocturnal phenomena, that is, sleep and dreaming, presented both positive and negative dimensions. The disciples of Antony in the Athanasian vita complained about demonic attacks which deprived them of night rest, causing spiritual imbalance. That said, oversleeping impaired one’s capacity for spiritual watchfulness. Watchfulness was of paramount importance, allowing the ascetics to make sense of the nature of their dreams. This was so important, that when weakness hindered watchfulness, the ascetics applied various forms of sleep management, such as prayer and chanting hymns. Athanasius echoed these practices in a range of letters sent to both male and female ascetics. Many of Athanasius’ judgments should not be taken at face value, however, being conditioned by pastoral strategies. The chapter refers to a number of contradictions in his statements. Indeed, Athanasius gave opposite advices to different groups of ascetics regarding sleep management. The solution was the Alexandrian’s pastoral protocols, which dictated contextualised solutions, case by case. Other differences related to Athanasius’ audiences. He would condemn everything related to his opponents in derogatory terms derived from the nocturnal experiences of sleep and dreaming. But he would praise his friends for the same experiences. These different views appear to have been regulated by implicit Athanasian classifications of such occurrences. He was not particularly interested in the acquisition of divine knowledge through dreaming, but allowed for two cases where that was possible. First, there were trustworthy, God-sent dreams, particularly recorded in Scripture, such as Jacob’s ladder and the dream of Pilate’s wife. Then there were the dreams and the visionary experiences of purified, virtuous, and holy persons. Athanasian Antony could discern what dreams came from God, from angels, or from saints, and what dreams were upsurges of the subconscious or demonic attacks. Ascetics as purified as Antony could maintain watchfulness even during sleep, experiencing what contemporary literature calls lucid dreams. They could soar above the body, undertaking supernatural trips into the unknown of the higher spheres. Purification enabled them, ultimately, to see God’s image reflected in the mirror of their souls. 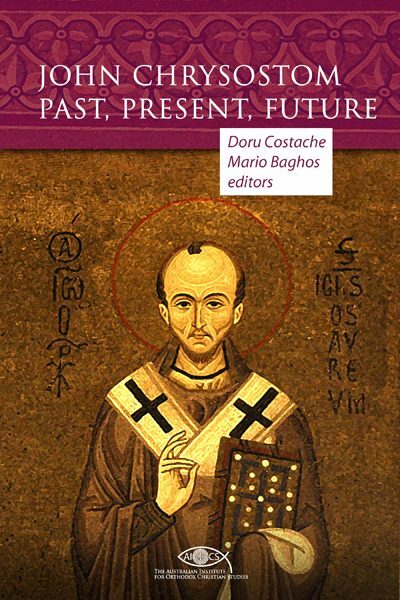 Throughout the chapter, references are made to Antonian and Pachomian sources (the latter together with texts from the Nag Hammadi library), Sayings of the Desert Fathers, the Cappadocians and Evagrius. At times, the findings are assessed from the viewpoint of the history of religions and the contemporary cognitive sciences. Courtesy of International Network for Byzantine Philosophy.